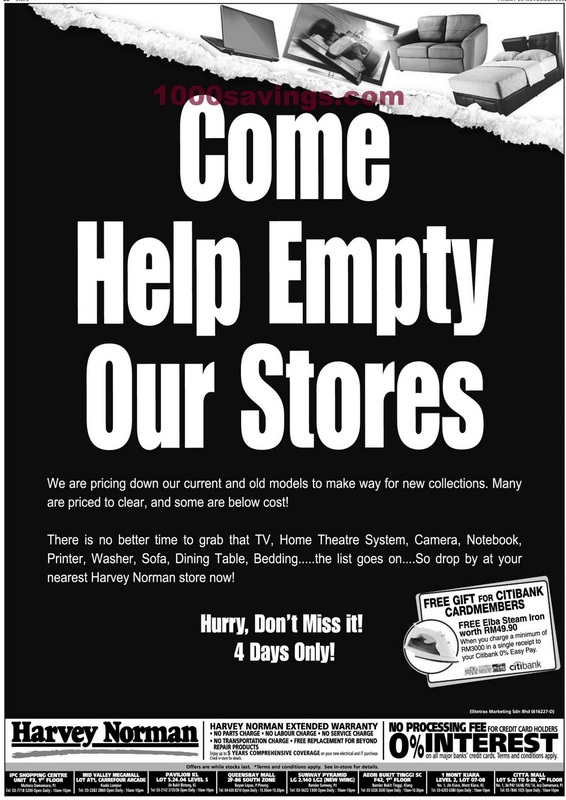 Harvey Norman: Come Help Empty Our Stores! Harvey Norman is asking you to come and help empty their stores! Harvey Norman is pricing down their current and old models to make way for new collections. Many are priced to clear, and some are below cost! There is no better time to grab that TV, Home Theatre System, Camera, Notebook, Printer, Washer, Sofa, Dining Table, Bedding... the list goes on... so drop by at nearest Harvey Norman store now!